“How do you refinance a home mortgage?” is a question often asked, especially while we are still experiencing historically low mortgage rates. About 50% of homeowners have not refinanced yet, perhaps waiting for clear signals that the economy and housing market are in a solid recovery. So as signs of an economic and hosing recovery become evident, more people are wanting to refinance their home mortgage. There are a number of reasons to refinance a home mortgage. 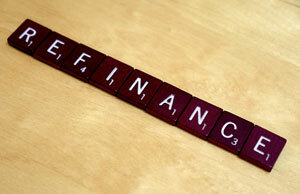 Of course, the goal of refinancing is to put you in a better financial position. Here are some of the most common reasons to refinance. Banish Private Mortgage Insurance (PMI). As you think about refinancing, here are some questions to ask yourself. Then when you’re ready to proceeding with refinancing your mortgage, we hope you will contact us for expert mortgage advise and begin the home refinancing process. Are current mortgage rates lower than my home mortgage? How much money will I save every month by refinancing? Do I qualify for refinancing programs that will save on the cost? Does cash-out refinancing for home projects make sense? Can I save money if I don’t take cash out when refinancing and generate cash another way? Using a mortgage broker makes refinancing fast and easy, compared to going it alone and navigate the process on your own. A mortgage broker acts as an intermediary between you and the lending institution. A broker’s principal job is to find a bank or a direct lender for your home loan, and work to get the best rate and terms possible. When you use a mortgage broker, you have someone watching out for your best interests, and working to get the best mortgage rate and best terms for you. Marimark Mortgage is a licensed mortgage broker in Florida, Virginia, and Pennsylvania. And the owner of Marimark Mortgage, Mary Catchur, has a background as a CPA, which has given her the financial background to understand the intricacies of the mortgage process. When you get ready to purchase a home or refinance an existing home, we would appreciate the opportunity to help you reach your mortgage goals. Until then, please check out some of our mortgage customers’ testimonials to learn about our service.